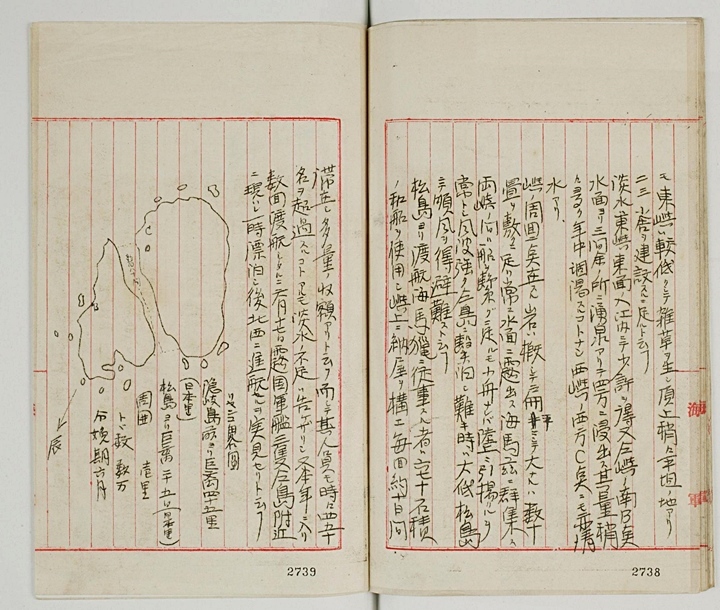 What Japan’s MOFA doesn’t want you to know about Japan’s 1905 Annexation of Dokdo Island! The following documents are a collection of files that the Japanese Foreign Ministry would prefer remain unseen by the general public. For obvious reasons, those who lobby for Japan’s claim to Takeshima (sometimes referted to as Liancourt Rocks) have for a more than a century, kept the Japanese Imperial Navy’s involvement in the annexation of Dokdo out of the public eye. In this three page series however, original historical records from three of Japan’s battle cruisers the Niitaka, the Tsushima and the Hashidate help to remove the veil of secrecy that once concealed the motivation behind Japan’s claim to Dokdo. The ships’ records are arranged chronologically to show how the Japanese Imperial Navy systematically surveyed, mapped and zoned Dokdo Island before the island was finally integrated into Japan’s war plan against the Russian Navy during the Russo~Japanese War of 1904~1905. 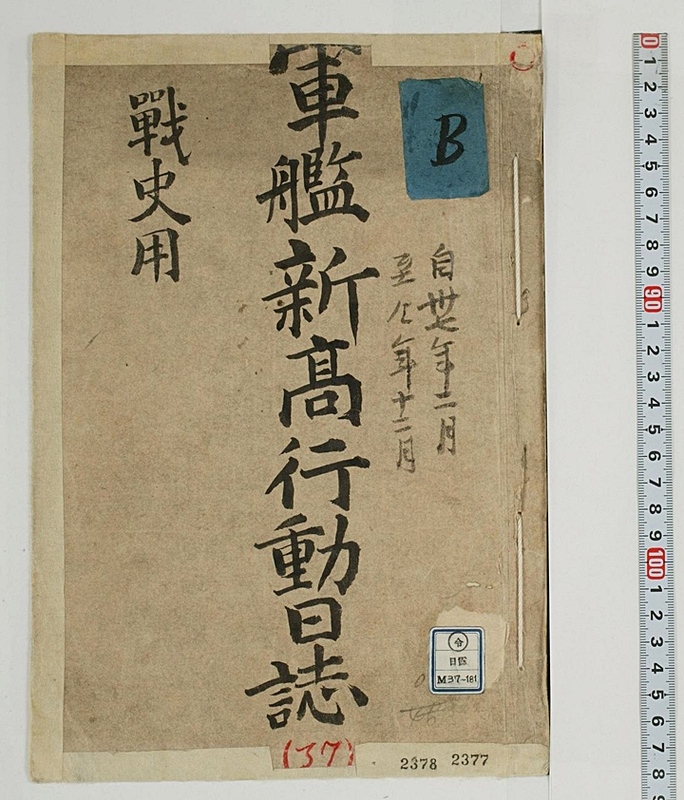 The Japanese Warship Niitaka’s logbooks give us insight regarding the military plans for Dokdo Island by Imperialist Japan during the Russo Japan War of 1904~1905. The Niitaka (新高) was an protected cruiser of the Imperial Japanese Navy, designed and built in Japan by the Yokosuka Naval Yards. It was the sister ship of the Tsushima. The Niitaka is named after Mount Niitaka in Taiwan, at the time, the tallest mountain in the Japanese Empire. 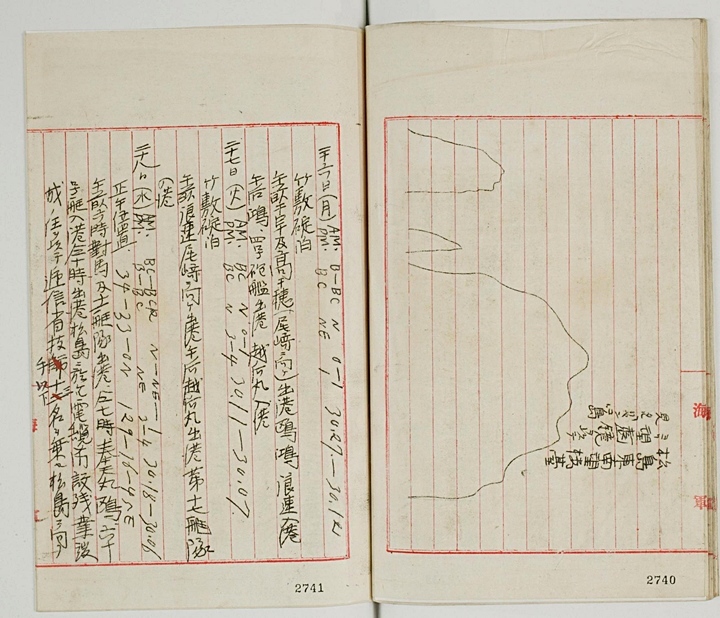 The Niitaka’s original records which are relevant from September 1904 (shown above and to the right) help to clarify some important facts about Korean involvement on Liancourt Rocks (Dokdo) prior to Japan’s annexation of the island months later. (click images) Note: Japanese text and pages numbers read right to left. Number of sea lions: Tens of thousands. “Temporarily anchored near Jukbyeon Harbor (Korea). At 1:12 A.M. weighed anchor, sailed off to Jukbyeon Harbor. At 7:42 dropped anchor at about 7 ryeon (1.3kms) South, five-eighths southwest of Ryu-Shu Hill of Jukbyeon Harbor. At 11:30 the land wire construction completed, hense we weighed anchor. Approached near the hill and stored underwater wires on land, retrieved the Oki Maru’s buoys returned at 3:42 P.M and departed for Ojaki. 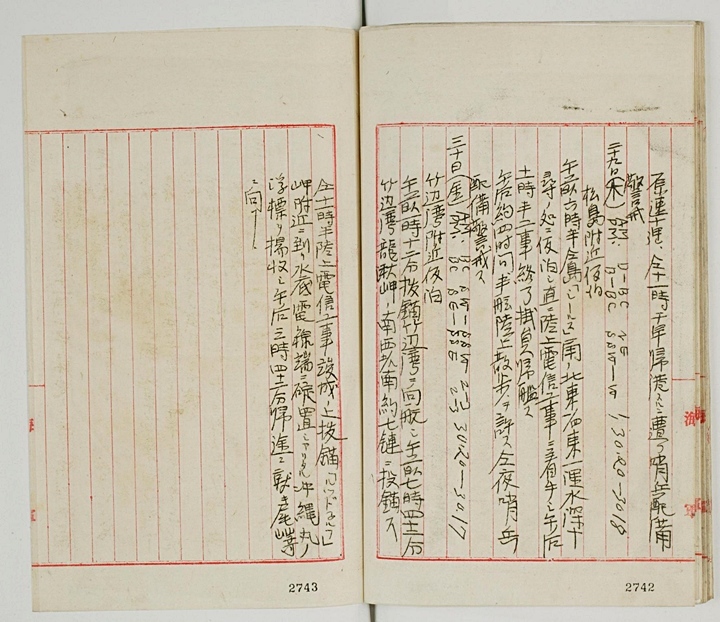 The September logbook of the Japanese Imperial Navy’s Niitaka tells us a great deal about the situation on Dokdo Island prior to the February 1905 annexation of the island by Japan. 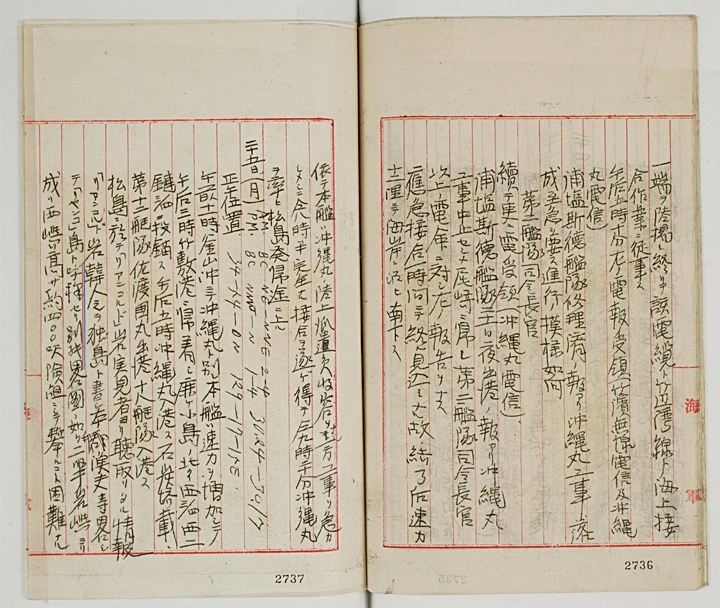 First the September 25th 1904 log entry states “Japanese call Liancourt Rocks Yangkodo while the Koreans call it Dokdo…..” This entry confirms some facts. First, it confirms Korean historians’ assertions that the Korean residents of Ulleungdo were both cognizant of Dokdo and active economically (fishing) on the island. Even those Japanese who were involved in fishing and sealing did so using Korea’s Ulleungdo Island as a base. Thus we know Ulleungdo’s (and thus Korea’s) territorial bond to Dokdo at this time was much stronger than that of Japan’s despite the nationality of some of these fishermen. Secondly, we can read the Koreans had been using the name Dokdo before the Shimane Prefecture Inclusion of Liancourt Rocks. The name of Dokdo was also used by Governor Shim Heung Taek, The Domestic Affairs Office and national newspapers when they objected to the illegal annexation of Dokdo in 1906 (link). 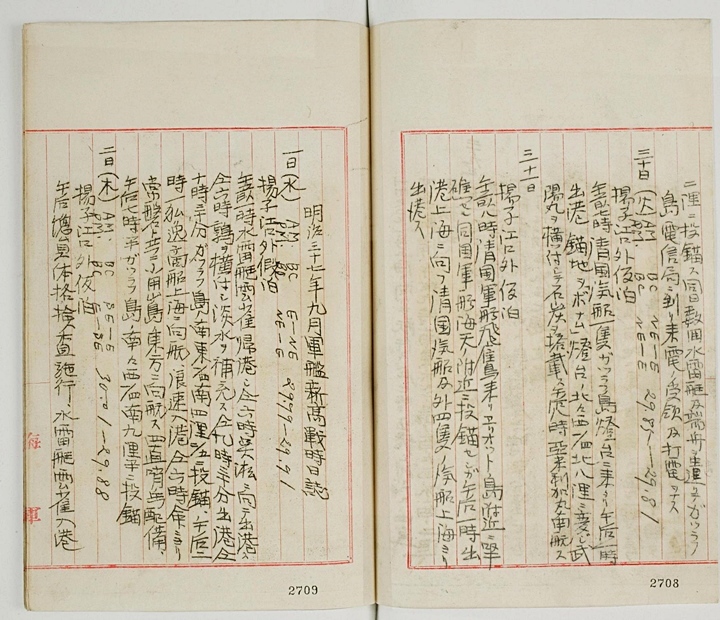 The argument by Japanese Takeshima lobbyists that Koreans were not aware of Dokdo in 1905 falls apart when the Niitaka’s logbooks are considered. Moreover, when we cite the 1903 Black Dragon Fishing Manual of 1903 (link) we can dismiss any Japanese assertions that Koreans were not cognizant of the island before 1905. These facts considered, Japan’s statement that in 1905 Liancourt Rocks (Dokdo) were “terra nullius” or “no-man’s land” are simply not true. In fact, when we refer to the above document, Ulleungdo’s (Korea’s) territorial bond to Dokdo was stronger than that of Japan’s prior to their annexation of the island in 1905. As mentioned the Japanese who fished and hunted seals on Dokdo were based on Ulleungdo. Another important quote from the Niitaka’s logbook describes both the topography of Dokdo and how this could best suit the needs of the Japanese Imperial Navy. It quotes “The top of the East Islet is flat and suitable for constructing two or three buildings on it…” Obviously these buildings would refer to military facilities. This quote foreshadows the Tsushima’s survey in November that was explicitly undertaken for constructing watchtowers and radio transmitting facilities. The records on the next page are from the Japanese Imperial Battle Cruiser Tsushima. They are irrefutable evidence of the Japanese Imperial Navy’s military agenca for Dokdo. It would take about a year from the time of conception to completion before Japan’s dream of turning Liancourt Rocks into a functional military observation outpost would be realized.